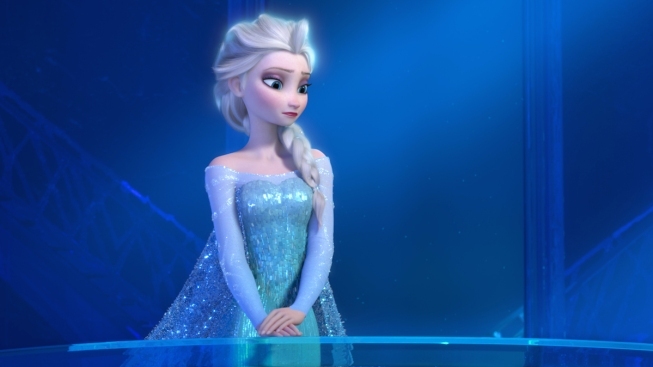 "Frozen" will be the seventh Disney animated film to transfer to the stage. The upcoming stage adaptation of "Frozen" has found its sisters Anna and Elsa - they'll be played by two Broadway veterans in Patti Murin and Cassie Levy. Disney Theatrical Productions unveiled the pair Monday. Levy has starred on Broadway in "Ghost," ''Wicked" and the 2014 revival of "Les Miserables." Murin starred on the Great White Way in "Lysistrata Jones" and "Xanadu." The duo will be joined by Jelani Alladin as Kristoff, Greg Hildreth as Olaf, John Riddle as Hans and Robert Creighton as the Duke of Weselton. Rob Ashford has also joined a choreographer, replacing Christopher Gattelli. The husband-and-wife songwriting team of Robert Lopez and Kristen Anderson-Lopez, who wrote music for the blockbuster 2013 film, is returning to work on the stage show, and Jennifer Lee, co-director and screenwriter of the film, is writing the story. Michael Grandage is directing. The show will debut at the Buell Theatre in the Denver Center for the Performing Arts in August. It is expected to land on Broadway at the St. James Theatre in 2018 beside Disney hits "Aladdin" and "The Lion King."